In which I reveal my new Jane Austen fixation and spread the word about the Jane Austen Festival in Oklahoma City. I’m a late-comer to the Jane Austen fan club, but at least I timed it right. The market is reveling in the success of reproductions and spin-offs based on her 200-year-old books. Until yesterday, I failed to realize that I’d come under Jane’s spell. It took a children’s book to wake my sensibilities (pun intended). 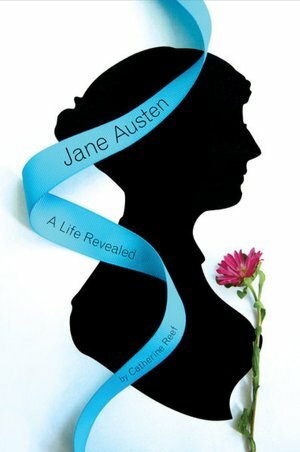 Jane Austen: A Life Revealed by Catherine Reef is a new biography I picked up at a Scholastic Book Fair. Although it is geared toward junior high and up, I found it interesting and thorough. The family tree printed on the first pages was helpful on occasion when the many family names became confusing. Complete with photos and illustrations, its style reminds me of the 1934 Newbery Award book Invincible Louisa; The Story of the Author of Little Women by Cornelia Lynde Meigs. Now that I “know” Jane better, I think I would have enjoyed her company. She loved learning, children, and psychology. She enjoyed watching plays and traveling. She had a sense of humor. She didn’t give up when her writing became stalled in the publishing system. What I admire most is that she produced memorable stories, without benefit of writing courses or critique groups. Based on that alone, I defy those who debate and speculate as to her “worthiness.” I proclaim, without a doubt, that Jane Austen had writing talent! Why did it take me so long to realize my Austen fanaticism? In the last 6 months, I’ve read four spin-off’s to Pride and Prejudice. 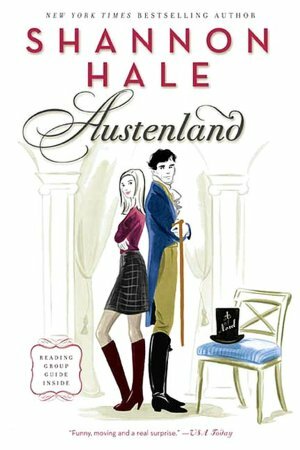 My favorite was Austenland, a modern chicklit in which women in need of some role playing take a vacation at a private resort. After donning dresses and regency accents, they are “courted” by men who resemble Darcy and Bingley. Created by Shannon Hale (of Princess Academy fame), the story was well written and hard to put down. The sequel, Midnight in Austenland, was also fun. 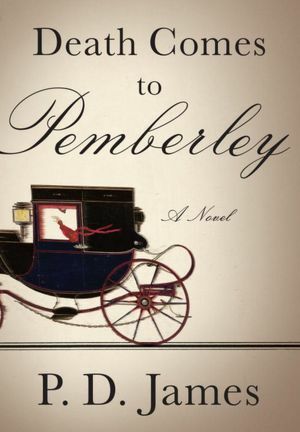 Death Comes to Pemberly by P.D. James focuses on a murder accusation against the distasteful Mr. Wickham. Pride and Prescience by Bebris had Jane and Darcy solving a mystery during their wedding party. Pride and Predjudice and Zombies was amusing, but less to my taste. There are zillions more Darcy-esque titles from which to choose. 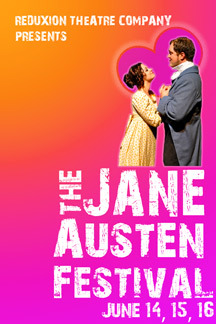 Oddly enough—this week I learned of a Jane Austen Festival being held in Oklahoma City at the Reduxion Theatre, June 14-16 http://reduxiontheatre.com/austenfestival.html. Since I am now a professed Austenite, I plan to attend at least one night. Featured is regency dancing, a play reading of Pride and Prejudice, and a lecture from author Linda Berdoll (author of Darcy Takes a Wife, which is next on my reading list). To quote Austen, “One half of the world cannot understand the pleasures of the other.” I believe that my lack of understanding has more to do with the fact that Jane Austen was not on my particular high school reading list. It has taken the barrage of spin-offs to introduce me to the joy and quirkiness of Austen lore.